London in the Sky is here again. For those at the back, that means high-end and Michelin-starred chefs cooking for up to 22 guests on a fully equipped kitchen raised 80ft above the Thames, serving up pairing menus that represent the best their restaurants have to offer. Better still, Foodism readers get an exclusive treat when booking – scroll down to find out more. We've spotlighted five of the chefs who'll be cooking for hungry, vertically-inclined hordes between 17 and 30 September in breakfast, lunch and dinner and Taittinger flights – browse the gallery below to read more. 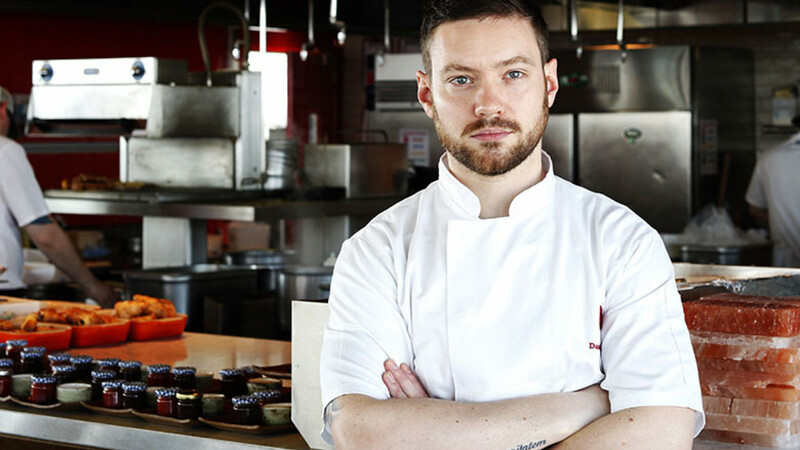 The prodigious Duck & Waffle executive chef has changed the face of late-night eating with his 24-hour, high-end restaurant in the City. 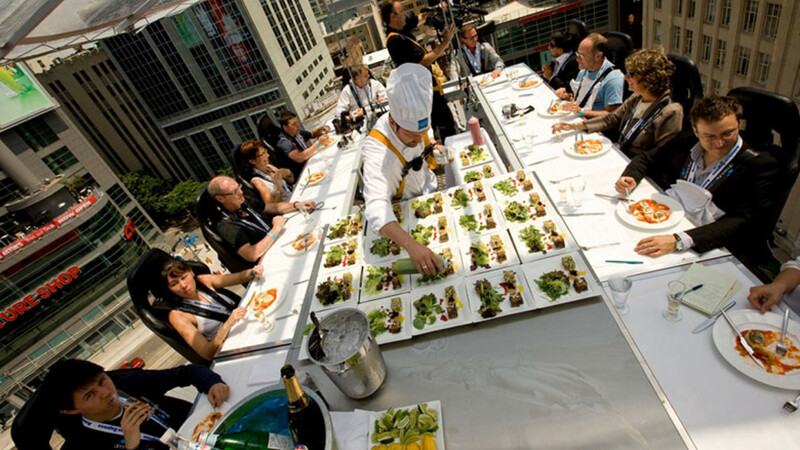 Given that his restaurant stands at almost 230m tall, he's no stranger to cooking at heights – although he normally has some protection from the elements. 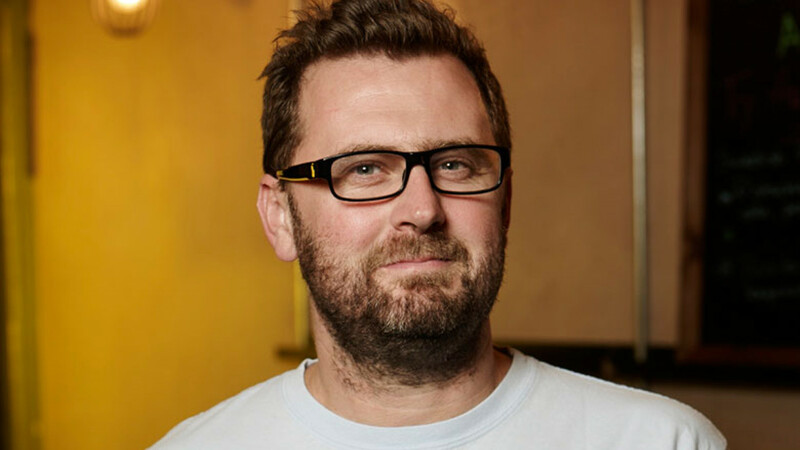 He specialises in reinterpreting British food, adding modernity and quirky twists – none more so than the restaurant's eponymous flagship dish. The Aussie chef's rock 'n' roll East Asian food, formerly to be found in Chelsea and Kensington, seems remarkably at-home at Joe's Oriental Diner's new east London location at the Laundry – serendipitous, then, that his cooking style has always been East meets West. 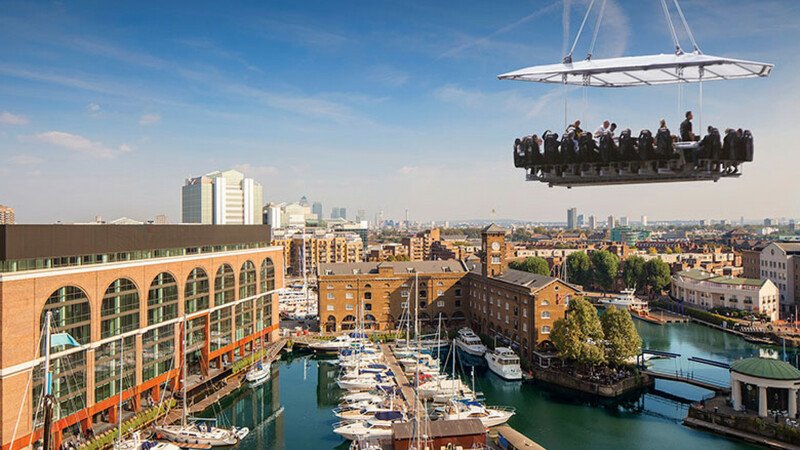 He'll be taking a break from his restaurants to cook a tasting menu at London in the Sky. A true exponent of the capital's thriving Peruvian scene, Morales brings a sunny disposition, boundless creativity and hunger to the kitchens of his Ceviche and Andina restaurants. Although he didn't come from a chef background (he was at Disney Music as recently as 2010), the quality of his food is without question. 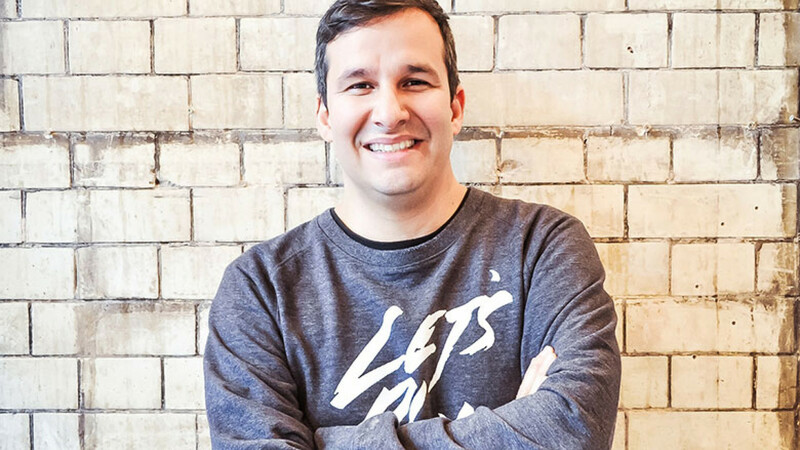 His latest venture, Ceviche Old Street, opened to acclaim earlier this year, and he's continuing his ascent (quite literally) with this year's London in the Sky. Michelin-starred Tom Aikens has a restaurant empire well worth shouting about. 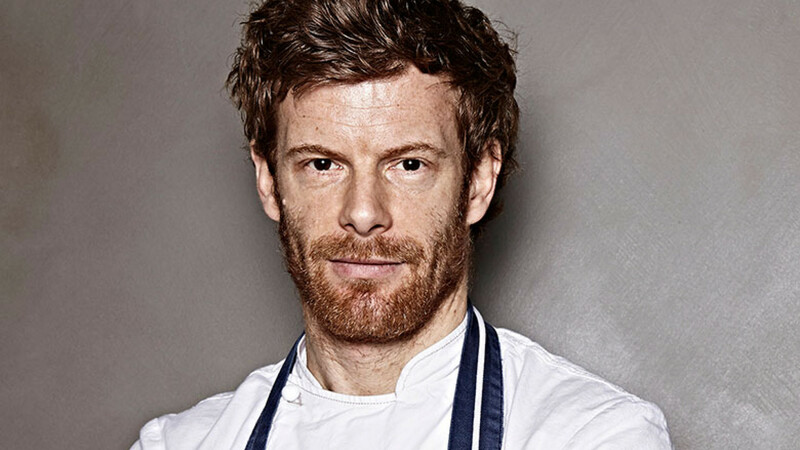 After breaking into the industry with stints at loads of top-notch restaurants (most notably Pied a Terre, which was awarded two Michelin stars under his stewardship), he opened Tom Aikens Restaurant in Chelsea in 2003, and has since opened three Tom's Kitchen restaurants. Polymath Sophie Michell cooks, writes, and even gives inspirational talks – so it's a wonder she can get out for London in the Sky, and a welcome one at that. 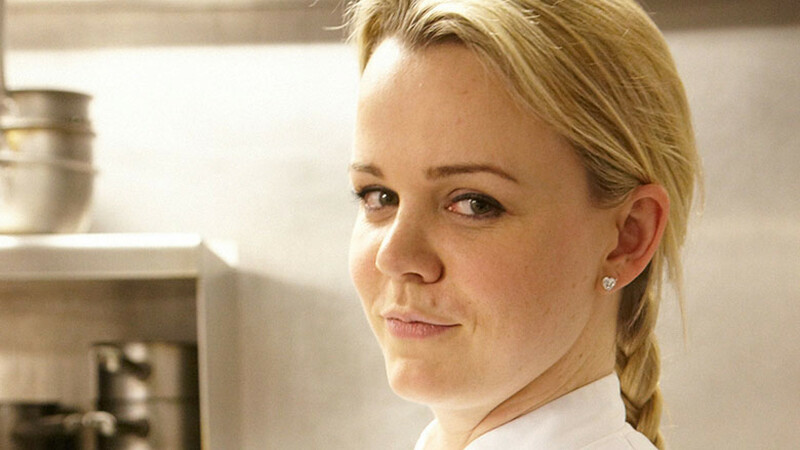 She runs the kitchen at neighbourhood-style restaurant Pont St at Belgraves hotel, and, along with Gee Charman, Jo Pratt, and Caroline Mili Artiss, co-runs Gorgeous Kitchen in Heathrow's Terminal 2. We've got the perfect prize for two up for grabs – one lucky winner and a guest will enjoy a Taittinger flight, which includes two glasses of Taittinger and a selection of canapés prepared by the chef of the day, completely free. Click here to enter.